The weather outside may be frightful (well, not so much in California, but that’s what the popular song says), but the time is still delightful…for selling your home. Gone is the conventional wisdom that says that the best time to sell is after the New Year, or in spring. Data on sales this time of year has actually proven otherwise, pointing to the winter season as just as important! Don’t wait to sell your home if the time has come to move; the only thing you could lose by not listing now is a serious potential buyer! While you may have been conditioned to think it’s a waste to put your home on the market during the holidays, think again. There are actually several good reasons to get that “For Sale” sign on your lawn before the New Year rather than waiting until the “gray days” of January. Serious Buyers. Why else would someone look for a home during the holidays with so much going on unless they’re really serious? You may not have the quantity as you do in a more popular selling season, but you will certainly have the quality as far as serious buyers who are ready to make a decision. Less Inventory. Because most people think the way you do (or did until you read this article), there are fewer houses on the market for motivated buyers to choose from during the holidays and therefore, less competition. That means more money for you! Higher Demand. If sellers think January is a better time to list, it’s likely that the supply of listings could increase after the first of the year, which could result in less demand for your particular home. That could mean less money for you! Greater Emotion and Appeal. 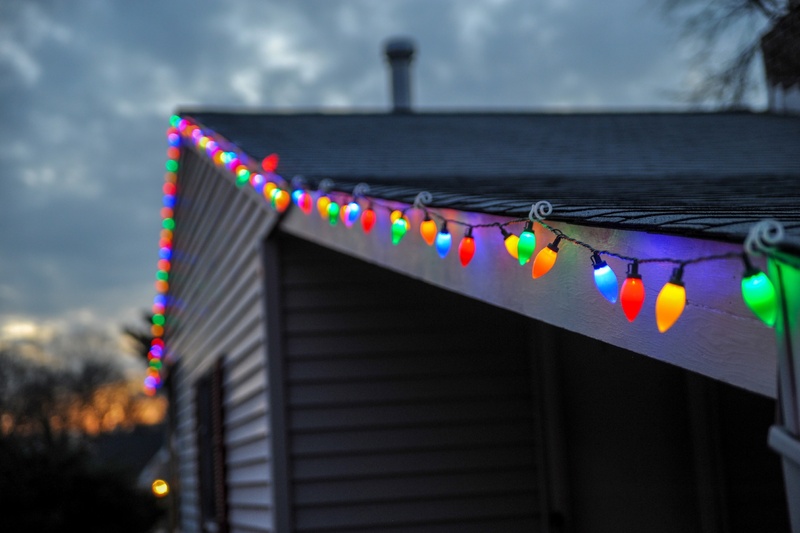 With the dazzling lights, beautiful decorations and homey holiday feel, houses generally show better when they’re “decked out” for the holidays as they would normally other times of the year. Plus this season brings out emotions in buyers, who are more likely to take the plunge. Tax Purposes. Let’s not forget good old Uncle Sam! Some people are driven by emotion, but others, by tax advantages. These folks must buy before the end of the year for tax reasons. That means a quick sale for you! Sell Now, Close Later. You can sell now then delay the closing or extend occupancy until early next year, so you don’t have to move before the holidays and can enjoy the festivities. So get a jump on the competition and list your home now. No matter what the season, The Address has the marketing know-how and sales experience to sell your home at the price you want. As your neighbors and local real estate professionals, we have a vested interest in getting you sold so you can have a great New Year!